Getting healthy is not easy. Getting fit is not easy. If it was easy then everyone would be doing it. There is a plethora of research that indicates that crash diets don’t work, therefore the Get A Fresh Start 12 Week Health program is about behavior change. Its about learning the skills required to make the changes required to feel better, be stronger and more energetic for life. Tara and Elle are both accredited allied health practitioners in their specialty field. Nutrition and Exercise is what they know best. Using evidence based practice to assist you to create new habits, a change in unhealthy behaviors and assist you in your health journey. So whether you are looking to increase your peak performance, lose weight, get stronger or manage injuries and health conditions Tara and Elle can assist you every step of the way. January 19th 2019 marks the date of the start of the program. On this date we will be doing full body Body Composition (DEXA) scans and skinfold measurements to give you the most accurate information prior to starting your 12 week health journey? DEXA (DXA) is the most accurate commercial body composition measurement system available to the public. This is the reason why all other measurement devices compare themselves to DEXA’s accuracy and reproducibility. A DEXA scan provides you with individualised body composition information together with a measure of bone density that no other device can achieve. DEXA is the gold standard in testing body composition through out the world and is used regularly in medical research. Each client has a completely unique body composition, nutrition and exercise profile. This is why each DEXA scan contains an Individual Scan Summary Report that is developed specifically for each client. The summary report will give you exact date about the % of fat, muscle, water, and bone within your body. It will also show you the distribution. The summary will be prepared and presented to you by both Tara & Elle. 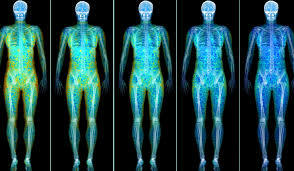 A DEXA Scan shows you the distribution of fat throughout your body. We all know that muscle weights more than fat, but did you know that there is ‘healthy’ and ‘unhealthy’ fat throughout the body? The Get A Fresh Start Program kicks off January 19th 2019.